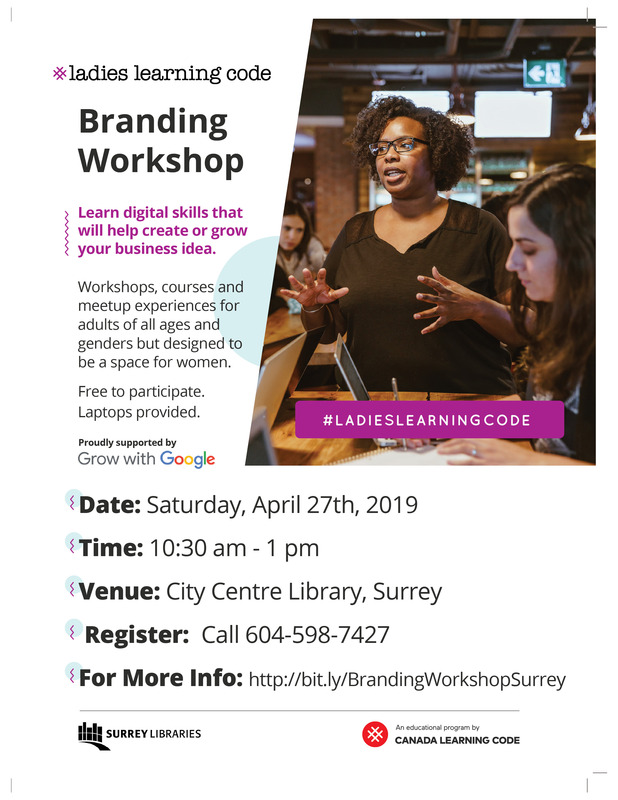 Learn the digital skills that you can use to start or grow your business. Learn about branding, design theory, and creating logos. Free! Registration required, space is limited.